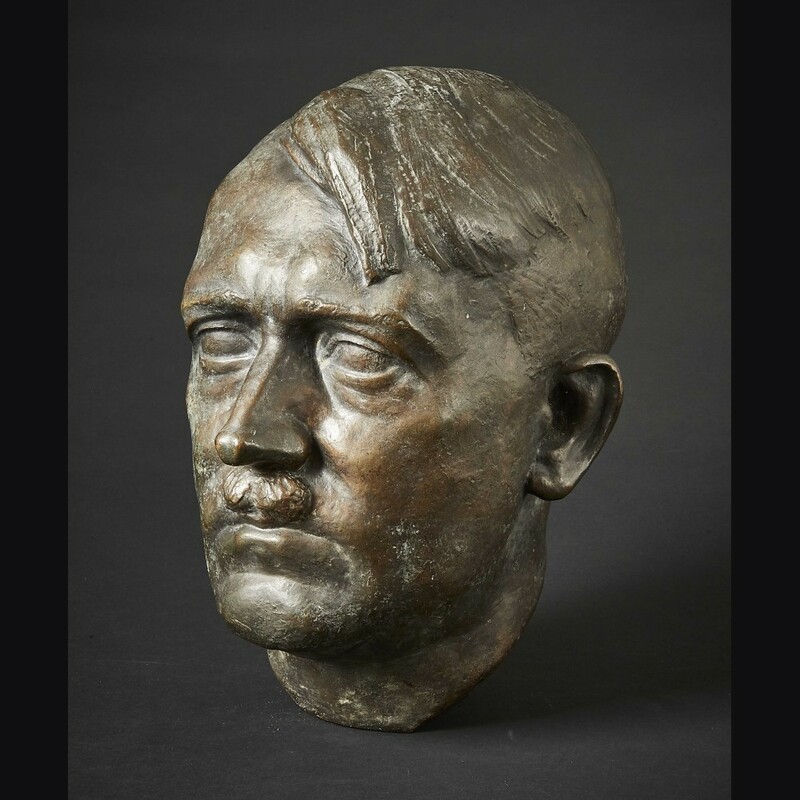 Original cast bronze bust of Adolf Hitler in life size by sculptor Theodor Linz. 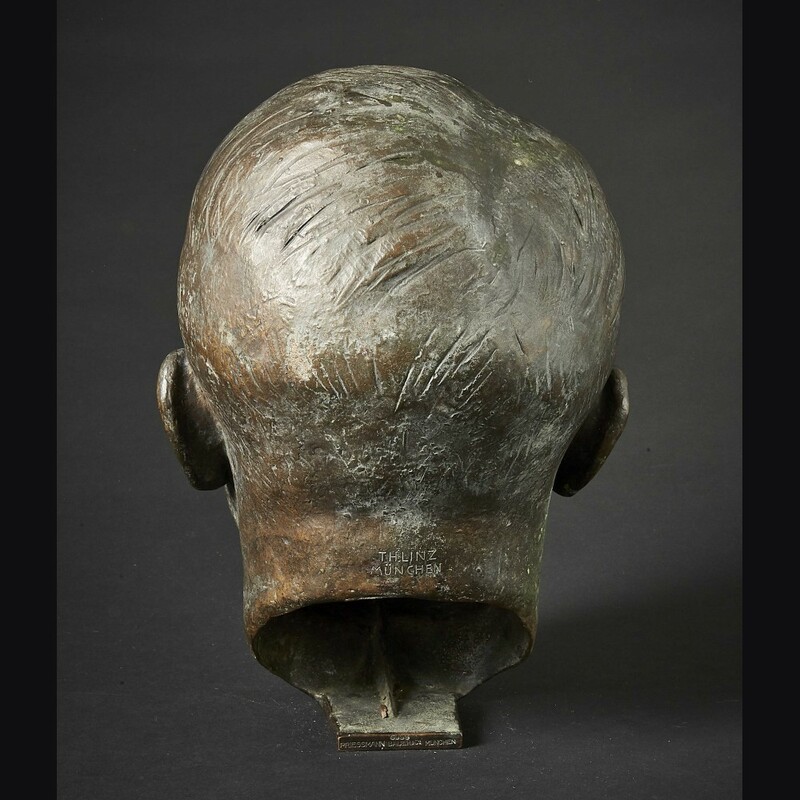 The bronze is approx 12 1/2" tall, with an overall circumference of 9 1/2". 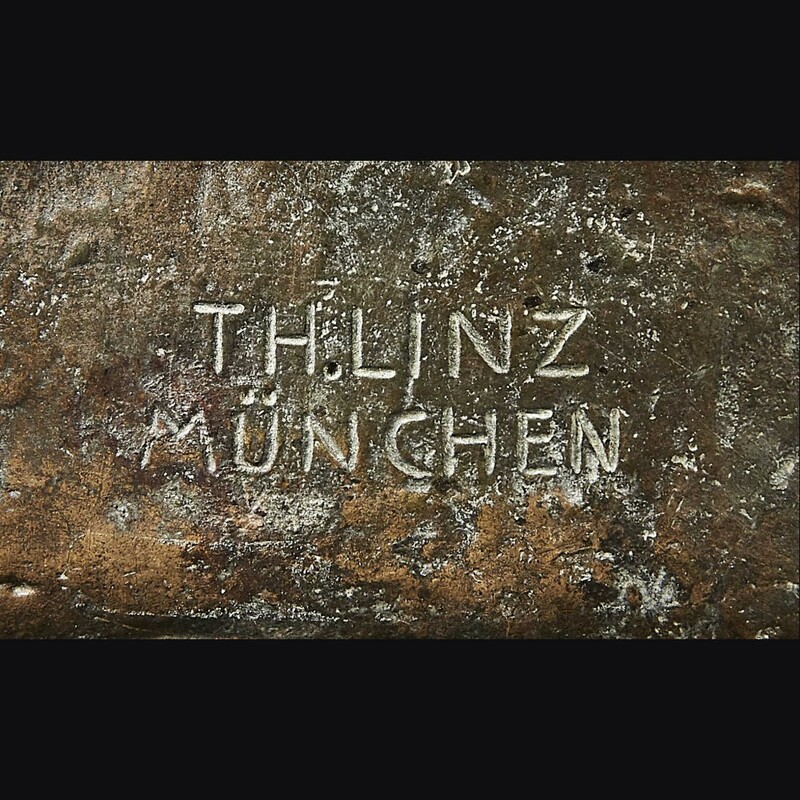 It is signed T.H Linz and stamped in the back of the flange "Guss Pressman Bauer Munchen". Theodor Linz was a Nazi party member, SA man, and early fighter with Hitler and his brown shirts in the 1920's. He sculpted his bust from sketches that he made from life during this period. 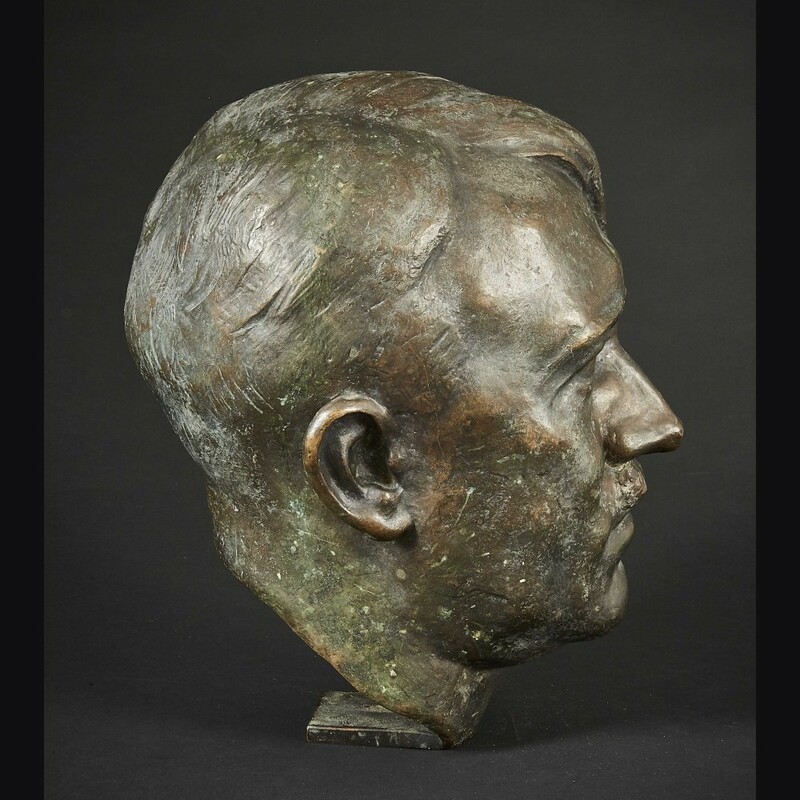 The Hitler bust by Linz was commercially sold to the public, as evidenced by this 1935 sales brochure. 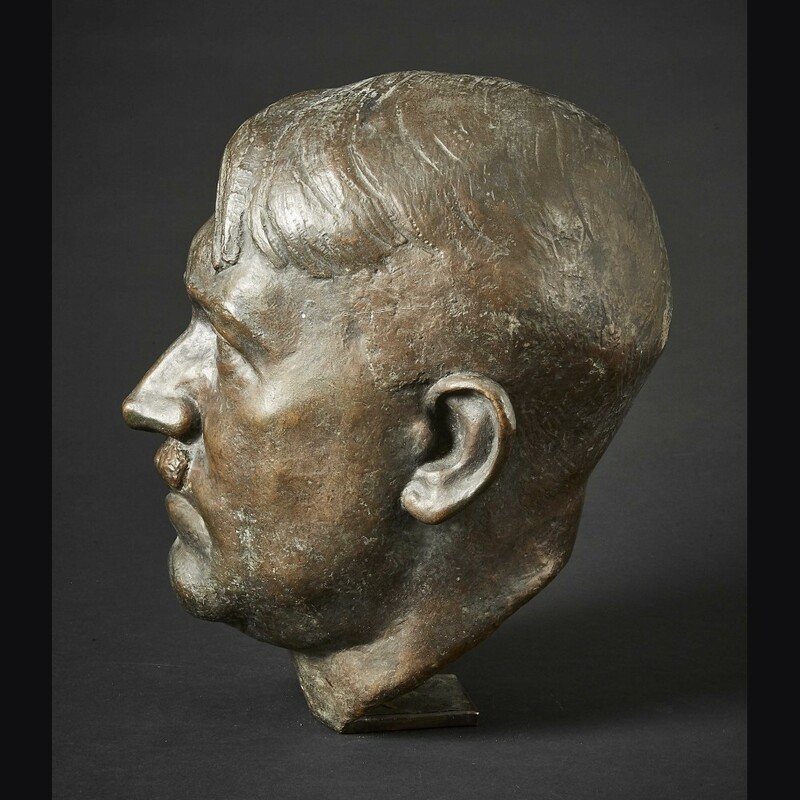 Most of the smaller bronze Linz busts bear the stamped marking of the Munich retailer, Scholten und Hahn, (Schoha). 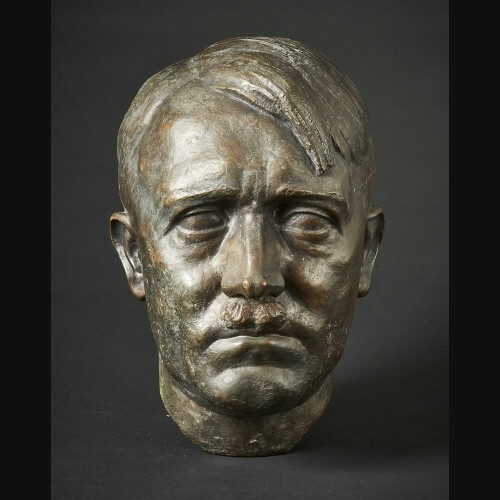 The bronzes were cast by the H. Mayr foundry in Munich, though most are not so marked. Wartime casts were made of white metal and plaster versions exist. The bronze is in excellent untouched condition, showing only a few superficial nicks and scrapes to the finish. Marble base is a replacement as is often the case but done for this piece. Bronze casts in life size are not common and most are larger or smaller desktop variants. While it is not uncommon to find these without a base, obtaining a properly sized replacement is fairly easy and I can help with that.